As many Commonwealth residents are surely aware, Massachusetts requires its licensed drivers to maintain a no-fault insurance policy. No-Fault insurance, generally speaking, is a program that requires anyone who gets into an automobile accident to file a claim with his/her own insurance provider for medical expenses property damage and other fees, not the other driver’s insurance company. In many cases, this also prevents injury victims from instituting legal action against the other involved parties after a car accident. However, this is not an absolute – in some cases, and under certain particular circumstances, a party may institute a legal action against another party. Retaining the services of an attorney experienced in car accidents is crucial for not only determining whether a specific accident is significant enough to make a claim of liability, but also for assisting with litigating the legal action. A recent two-automobile crash in Boston may prove to be one of these situations. A brief discussion of the no-fault insurance requirements in Massachusetts, as well as when liability can be litigated, will follow below. Massachusetts is unlike most states in that it requires drivers to have a No-Fault Insurance policy, sometimes known as Personal Injury Protection, as part of its general requirement that each automobile operator carry automobile insurance. Under Massachusetts’ no-fault insurance requirements, after an automobile accident, an automobile operator’s own automobile insurance coverage pays for medical treatment and other out-of-pocket losses incurred by anyone injured, up to the coverage limits, regardless of who caused the accident. Unfortunately, with a no-fault insurance policy, an automobile operator cannot obtain compensation for any pain and suffering as a result of the accident, as well as any other non-monetary damages. Ordinary and necessary household services. Further, the total amount of no-fault insurance benefits an individual can collect is only $8,000 for all expenses. However, if one has health insurance, the benefits are reduced to $2,000 for medical expenses. Suffered injuries resulting from the accident which include permanent and serious disfigurement, fractured bones, or the substantial loss of hearing or sight. If an injured individual can satisfy either of these elements, he/she can pursue compensation for all categories of losses. It is important to note that the no-fault insurance requirement applies only to personal injuries caused by automobile accidents, and not to vehicle damage claims. A claim for damage to a vehicle can be made against the at-fault automobile operator with no limitations. 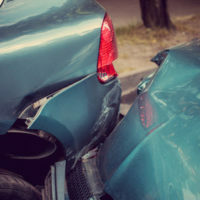 If you or a loved one were involved in an automobile accident, and believe the other driver is liable, contact the attorneys at Leontire & Associates, P.C. as soon as possible. We have experience in dealing with automobile accidents, as well as skill in various aspects of liability in light of the no-fault requirements. Armed with this knowledge, we will review your, or your loved one’s, circumstance. If we believe there to be a viable claim for liability, we will work with you or your loved one to develop a strategy to ensure the at-fault party compensates you for your injuries. Contact our Boston office today.